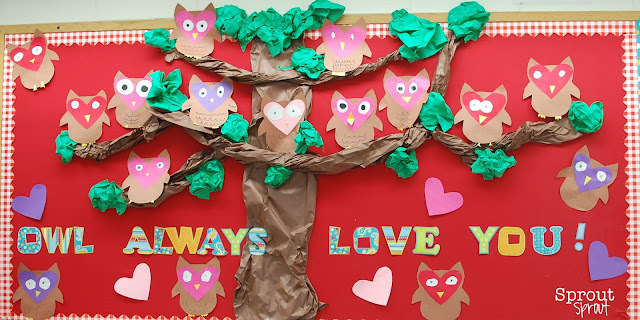 We love these sweet little owls that we found perching in a first grade classroom. Mrs. Selfe and her students always amaze us with their creativity! 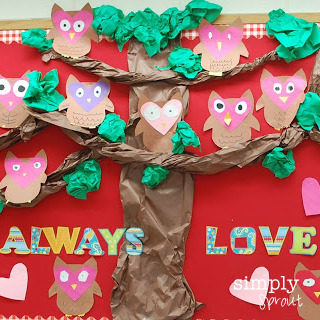 Keep them cute and simple, or have your children add a Valentine's poem to the them. Valentine's fun is popping up everywhere! Send us a picture of your Valentine's bulletin board at simplysprout@gmail.com.